. Muller said Phil Fayne, William Tinsley and Matt Chastain all have undergone meniscus knee surgeries that have slowed things down a bit. I knew Matt had another surgery but I did not realize Phil and William did too. Was this public knowledge and I just missed it? Wow. One thing is critical for our success. We.Gotta.Stay.Healthy. Good sched. Only nitpicks are being not crazy about a DII team again, and was hoping for a P6 buy game but oh well. The road games at Belmont and UCF are nice. Steal one or both of those and that will carry some good weight in March. Awesome home slate, and having the two biggest home games on Saturday nights when students are on campus is huge. Should be fun atmospheres. This schedule is “meh”. Better than most years, but nothing I’ll be bragging my my P5 buddies about. Saying that, since it’s clear we’ll never be in the conversation for an at-large, and everything hinges on Arch Madness, why not play all P5’s? Even if we go to their court without the guarantee of a return game, let’s do it. Despite the D2 game, this schedule is overall the best non-con I've ever seen since I've been a Bird fan (going on 39 years now). Pretty sure most, if any, P5 schools are not going to schedule a non-con anywhere near the quality that HC Muller & Co. have put together for the Birds. 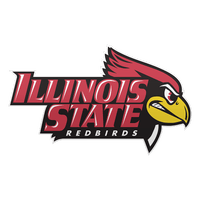 Congrats out to the entire staff and am really looking forward to the games this season and ISU earning a spot in the Big Dance....YES! Dan is excited and optimistic about Chastain. I am too. Hope he’s healthy. If he is he will help a lot. Prognosticators are betting BYU, San Diego St, Central Fla will be on the bubble for at-large. These are the games that are most important to win. They are basically play-in games. We win these games and finish 13-5 or better in Valley I think we have a good shot at at-large. RPI will be in the high 20s or low 30s and we should be able to claim the quality win game (probably 6 or 7 top 100 wins). Maybe 2-3 in top 50. Have to win these 3 games. Lose them and it’s back to Arch Madness title game prayers. Best doesn't always mean toughest. For teams being willing to play us home, away, neutral, or both, it's pretty big to get this schedule. In the future, losing the MVC/MW challenge hurts but we didn't win most of those either. Ultimately all sports at ISU depend on MBB revenue - forced WSF "donations" for tickets and ticket sales themselves. Our department would not be able to survive if we didn't play home games. Bottom line, your P5 buddy's teams generally won't play us. If they do, it's only going to be on their courts and often if we're slated to have a down year. With a good conference season, this schedule presents an opportunity to get an at-large bid if we win most of these non-con games. We have to stay healthy and can't have issues like we did with MY with Charleston Southern. One of those losses is going to torpedo our at-large chances unless we win a lot of other games. There is also some fate involved where we don't have a situation where PF or another key player needs to be away (Murray State). looks like the chicago that game is part of the tournament. i was unaware. Weird. That's all I got to say. The "mainland games" have never made any sense to me. They have no bearing on the actual bracketed tournament. Are the mainland teams competing against each other like round-robin style to see who can have the best record after playing some bracketed teams? I don't get it. I have a feeling a game like this would have been scheduled regardless, though. I got ever to, too, two in less than a line!